Fun to talk to you; let me know if you get this. My friend Kathy took the picture. 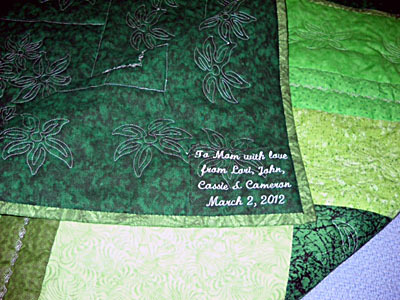 My friend Gretchen finished this today for her husband's ex-wife's mother. If that is not above the call of duty, I don't know what is !!! The lady asked for green and green she got. That Gretchen is one fine lady. 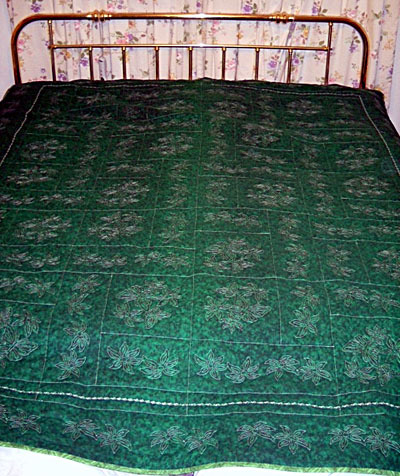 She quilted each section using her Janome embroidery machine. I thought you might think this treatment to be interesting. 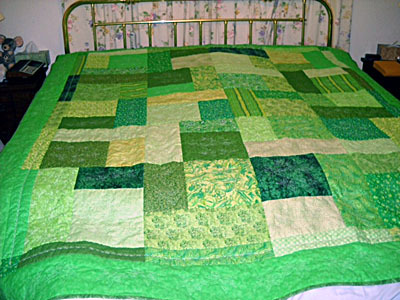 Pictures of the green quilt, just finished today.